Robert Joseph Cox, professionally known as Bobby Cox is an American former professional baseball third baseman and manager in Major League Baseball (MLB). He played for the New York Yankees. He managed the Atlanta Braves and the Toronto Blue Jays. He became the general manager of the Braves in 1986. He retired from the Braves at the end of 2010 season. He led the Braves to the World Series championship in 1995. He holds the all-time record for ejections in Major League Baseball with 158. He ranks fourth on the baseball all-time managerial wins list. He was inducted into Baseball Hall of Fame in 2014. What is Bobby Fox Famous for? Baseball Hall of Fame inductee in 2014. He ranks fourth on the baseball all-time managerial wins list. He led the Atlanta Braves to the World Series championship in 1995. Major League record ejection with 158 ejections. Where was Bobby Cox Born? Bobby Cox was born on 21 May 1941. His birth name is Robert Joseph Cox. His birthplace is in Tulsa, Oklahoma in the United States. He holds American nationality. His zodiac sign is Gemini. Information about his parents, siblings, education is currently unavailable. Which Baseball Team Did he play for? Bobby Cox originally signed with the Los Angeles Dodgers. But he never played the Dodger's major league team. The Atlanta Braves acquired him. He did not play for the Braves in MLB. He was traded to the New York Yankees in December 1967. He played two seasons at third base because of bad knees. He became the second in a string of four stopgap players between Clete Boyer and Graig Nettles. He posted .225 batting average, 9 home runs, and 58 runs batted in his MLB career. He also played for the Cardenales de Lara and Leones del Caracas clubs of the Venezuelan Winter League from 1967 to 1970. After ending his playing career, he managed the Cardenales de Lara for three seasons from 1974 to 1977. In between, he also coached and managed the Yankees minor league system. He began his managerial career in the Yankees farm system in 1971. He led the Syracuse Chiefs to the Governors' Cup title in 1976. He recorded 459 wins and 387 defeated with two league championships during his 6-years tenure as a minor league manager. He then became the first base coach on Billy Martin's staff with the World Series-winning Yankees in the 1977 season. Prior to the 1978 season, he replaced Dave Bristol as the manager of the Atlanta Braves. Braves were at their worst run for several seasons. Cox led the Braves to finish fourth in the 1980 season. The Braves Atlanta owner, Ted Turner fired him when Braves finished fifth in 1981 season. He joined the Toronto Blue Jays in 1982. He managed the Blue Jays for four seasons. He led the Blue Jays to finish first in the American League East. He finished his tenure as a manager of the Blue Jays with a record of 355 wins and 292 losses regular season record. Cox returned to the Braves as general manager in 1986. He fired then-manager Russ Nixon and appointed himself as the manager in 1990. The Braves became one of the two teams to go from the last place to first place from one year to the next in 1991. Minnesota Twins was another team. The two teams met in the 1991 World Series. The Twins won in seven games. The Braves under Cox lost the World Series to his former club the Toronto Blue Jays in 1992. The Atlanta Braves won World Series championship defeating Cleveland Indians in 1995. The Braves again won the division title in 1996. He became the only manager in history to lose a series-leading three games to one and win a series trailing three games to one. The Braves made it back to the World Series in 1999. However, they lost to the defending champion New York Yankees in four straight games. His 2001 team won the division title but was defeated by Arizona Diamondbacks in the 2001 NLCS. His final game as a manager for the Braves was in October 2010 where the San Francisco Giants eliminated the Braves in game 4 of the National League Division Series. He retired from both stints as manager of the Brave in 2010. He finished his managerial career with a record of 1,883 wins and 1,386 losses in the regular season. His overall managerial record in 2,504 wins and 2,001 losses in the regular season and 67 wins and 69 losses in the postseason. 4 times Manager of the Year (1985, 1991, 2004, 2005) making him only the manager to have won the award in both the American and National League and only the person to have won the award in consecutive years. Inducted into the Fresno County Athletic Hall of Fame in 1981. Inducted into the Atlanta Braves Hall of Fame in 2011 and retired his number 6 jersey. Elected to the Baseball Hall of Fame in December 2013.
Who is Bobby Cox's Wife? Bobby Cox is married to Pamela Boswell Cox. They got married in 1976. The couple shares 3 children together. He was previously married to Debbie and shares 4 children together. He was arrested in May 1995 on a simple battery charge after his wife called the police and alleged Cox struck her. His wife retracted the statement and the charges were dropped after they attended court-ordered counseling. 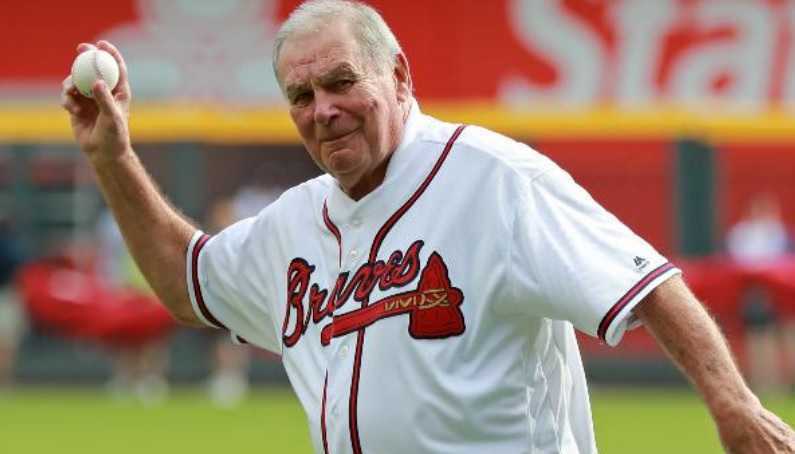 What is Bobby Cox's Net Worth? 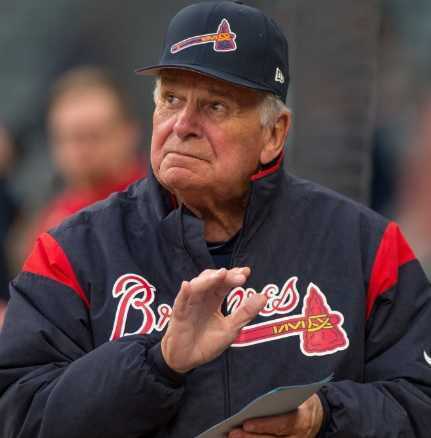 Bobby Cox served 25 years as the manager of several baseball teams. Prior to his managerial career, he also played as a third base for the New York Yankees in MLB. He retired from his playing career in 1970 and retired from a managerial career in 2010. As of 2019, his net worth is estimated at $45 million.